Asylum application and residence permit application are not the only administrative tasks migrants have to deal with; day-to-day life requires housing access, health care coverage and so on. In many cases the administration doesn’t provide all the necessary information, or access is difficult because of the language barrier. 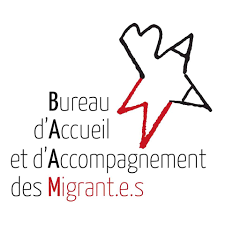 The BAAM provides a social help room to assist with general administrative tasks, and a housing access help room specific to housing applications. At the social help room, asylum seekers, refugees or undocumented people can find help to fill their administrative documents: medical insurance (CMU, AME), financial support (RSA, ADA). If you have questions about OFII, problems with metro card or debit card, come meet us. We also help with documents for family reunification. Please notice the social office can not help you with visa, residence permit or asylum procedure. Legal help room does. Every Monday at 7 PM. We don’t provide advice by email. Come meet us. The housing access program is for asylum-seekers and refugees whose rights are disregarded. In this program, we launch administrative procedures as well as legal procedures so that the right of asylum-seekers and refugees to be housed is effective. Emergency appeal to the administrative court.